We are engaged in manufacturing, exporting and supplying a huge gamut of Jute Handbags like Jute Handle Carry Bag, Handmade Jute Designer Bag, Jute Handbags Trendy Printed Bag etc. These are manufactured using premium quality materials that are procured from the reliable vendors in the market. Our range is highly demanded in the markets for their quality, efficiency and durability. 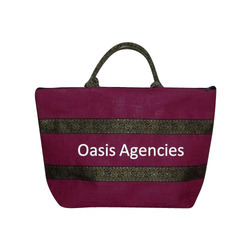 We are recommended amongst the clients for offering a quality assured assortment of Handmade Jute Designer Bag. The Handmade Jute Designer Bag we offer is widely demanded amongst the clients for its availability in various sizes. These products are available in the market at reasonable rates. Available in rich alluring designs, patterns and colors, these Jute Handle Carry Bag choices bear on them smooth finish as well as highly durable stitching support which make them long-lasting in usage. Made from eco-friendly wear jute fibers, these carry bags also come with better wear & tear resistance as well as match up with the fashion trends emerging in the market. Some of its features include stylish and elegant finish, meeting tastes of all fashionable accessories loving ladies, perfectly designed that meets demands of changing customer preferences, choice of side pockets and other options as demanded by the customers. Being highly durable as well as easy to carry, the enchanting and exclusive range of Jute Handle Bag options can be offered in different sizes and pattern choices as per the specific preferences of the customers. 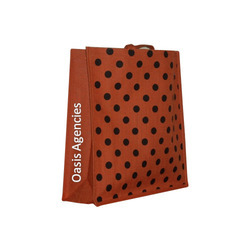 Providing for large interior spaces which make these more comfortable to use, these bags can also be custom developed as per the specific preferences of the customers. Some of its features include fabricated from premium quality jute, providing for durable finish support, choices of different sizes, shapes and pattern options, durable construction support, elegant finished looks and stylish patterns among others. 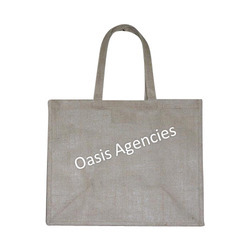 We are one of the leading manufacturer of Rectangular Cane Handle Jute Bag. 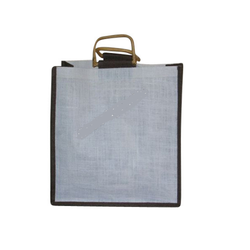 Jute Rectangular Cane Handle Bag is fabricated using high quality materials and according to the international quality standards. These are available in rectangular shapes and can be custom made as per the requirements of the clients. 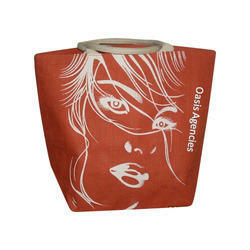 These are available with a handle for easy carrying and are highly demanded for their comfortable features. Clients can avail these at affordable prices in the market.